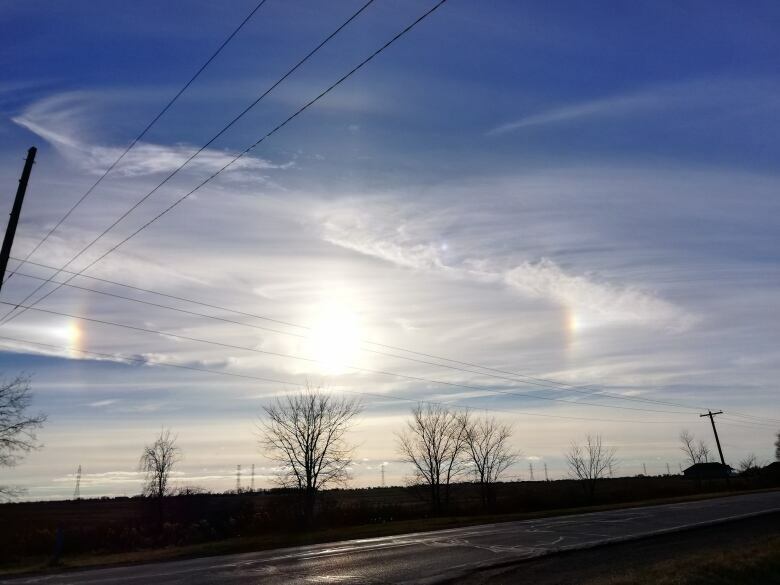 Windsor-Essex saw a couple of rare weather phenomena over the weekend. Windsor-Essex saw a couple of odd-looking weather phenomena over the weekend. Photos of upside down rainbows and what seems like multiple suns came into our newsroom inbox from our audience. "You need very specific weather conditions up high in the sky to see those," said Marie-Ève Giguère, a meteorologist with Environment Canada. "You need no wind at all, or very little wind." Commonly called sun dogs — where you see almost mini-suns on either side of the real sun — the technical term is parhelion. The spots on either side of the sun can be reddish but are most often white. Les Cowley, a British physicist who has studied these weather effects for decades and catalogues them on his website, Atmospheric Optics, said sun dogs are formed when light passes through ice crystals that exist in the cirrus cloud. And because the cloud layer "is cold no matter where you are," Cowley said sun dogs can be found in tropical countries as well. 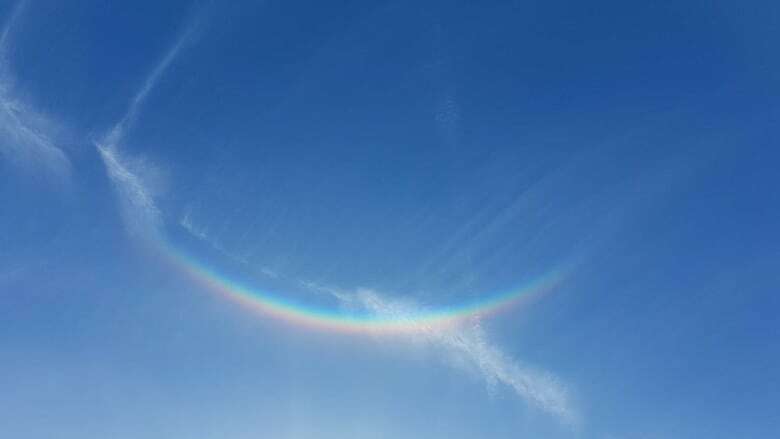 As for the upside down rainbows, they're called circumzenithal arcs. "They're like a typical rainbow but they're made through ice crystals," said Giguère​. "It happens when it's really cold in the sky, so mostly in winter." In addition to cold and calm, Giguère​ said there are usually no other clouds, or very thin clouds around, allowing people on earth to see sunlight disperse through the crystals. "It's what we see on the Pink Floyd CD — this triangle is like an ice crystal and the light goes through it." "The geometric patterns you see in the sky — the sun dogs, the circumzenithal arcs — are telling you rather indirectly something quite fundamental about the common substances we have — water and ice — how they're put together," Cowley said, noting that ice crystals are formed in hexagonal shapes. The physicist added the arcs seem even more rare than they actually are because they're typically over people's heads — and people don't tend to look up. "I think if you look carefully at the sky, you'll see things like this maybe once a week, maybe once a month. I think the advice is, look up, and be surprised," he said.